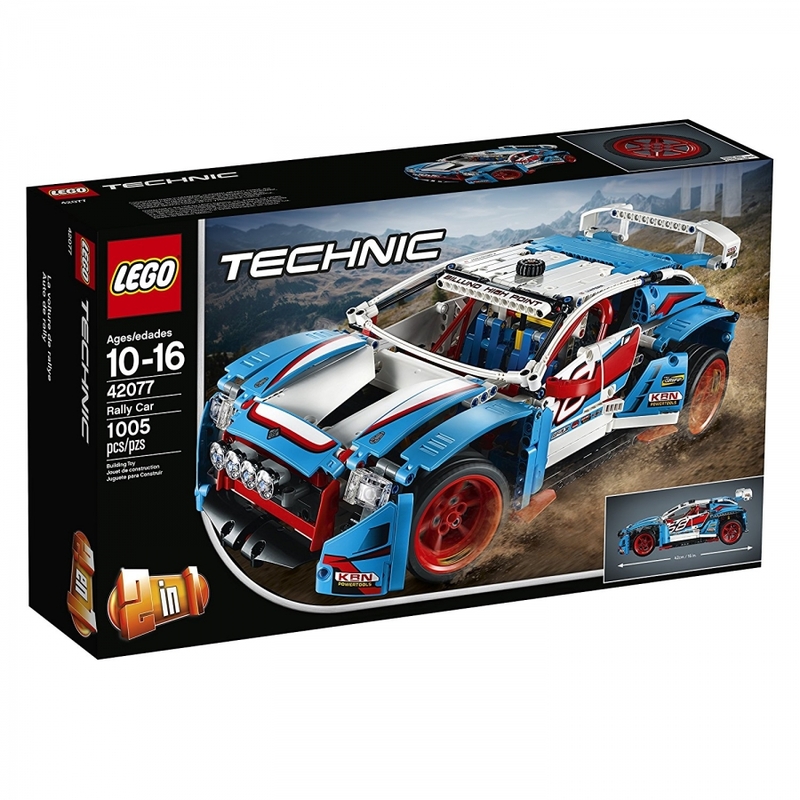 Discover awesome detail and design with this amazing 2-in-1 LEGO® Technic Rally Car model, featuring sporty blue, white, red and black bodywork with racing stickers, large rear spoiler, 4 spot lamps and 6-spoke red rims with low-profile tires. This advanced building set also features a detailed cockpit with racing seats and roll cage, 2-fan engine cooling system, opening hood and rear hatch, and a V6 engine with moving pistons. Rebuild the Rally Car to create a Buggy for a double build and play experience.